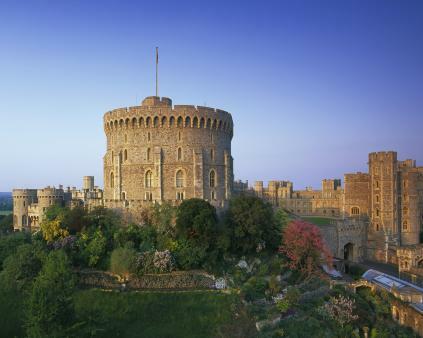 Home to the Queen and over 900 years of Royal history, Windsor Castle is one of the most famous castles in the world. Family trails and activities make it a brilliant day out for all ages, as our parent-and-child testers found out. Magnificent State Apartments (in miniature as well as full size!) 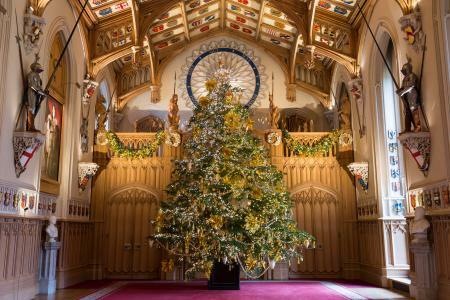 will dazzle you and multimedia tours will make history come to life at Windsor Castle. Elisabeth Galvin visited with William, three, and Mary, five. William couldn’t believe his eyes when he looked up and saw 1,000 statues of Order of the Garter knights in shining armour decorating the walls. Watch out for King Henry VIII’s suit elsewhere in the castle (clue: it’s somewhat large). William also loved the weaponry displays and seeing a real Guards soldier up close complete with red jacket, gold buttons and bearskin hat. .
Queen Mary’s Doll’s House is the largest in the world, complete with flushing loos, lifts, hot and cold water and electricity. Look out for the library with real miniature books – an amazing 170 tiny novels were written specially by famous authors of the day. The suite of racing cars is pretty impressive too. After the doll’s house, marvel at the extraordinary tiny designer outfits and accessories made by Cartier and other Parisian designers for two china dolls given by the French government to the Queen and her sister, Princess Margaret, when they were children. For the best chance of avoiding long queues, visit later in the day. Before you visit, explore the interactive map of the Castle online. When you arrive, hire the free multimedia tour handsets for a history lesson with Horace – a teacher with a difference who will introduce you to some of the colourful (and slightly scary) characters of Windsor, including Gilbert the Grotesque and Cyril, a Page of the Back Stairs. The tour is aimed at children aged 7-11. You can also pick up or download one of the free family activity trails. 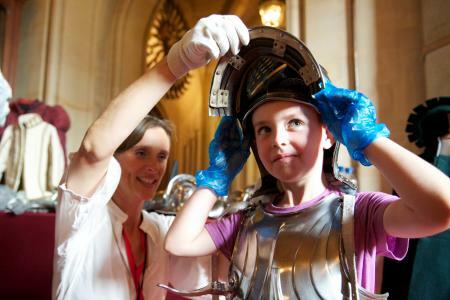 Learning about Castles, KS1 I Spy and the State Apartments Quiz, the Royal Home Trail, Queen Victoria at Windsor Castle and the St George's Chapel trail are all available. For an added bonus, time your visit to coincide with the Changing of the Guard – although not as grand as the one at Buckingham Palace, the crowds are a fraction of the size so everyone has a great chance of a good view. Days are usually Mondays, Wednesdays, Fridays and Saturdays at 11am, weather permitting; check the website for details. 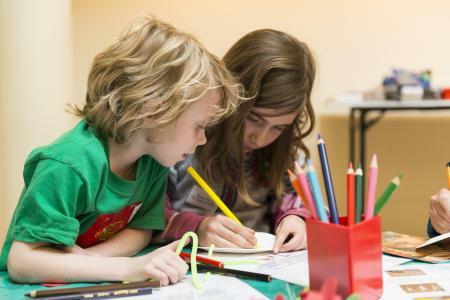 There are crafts and dressing-up every Saturday in the Moat Room, and drop-in art workshops during school holidays (check the website for event listings). No munching is allowed inside the castle but you can leave for lunch and come back in again (in fact, your ticket lasts for a whole year if you get it stamped by a warden). There are benches right outside for a picnic with a view and Windsor town centre has plenty of bakeries and supermarkets. Windsor is 23 miles west of London: catch the train from Paddington to either Windsor and Eton Central or Windsor and Eton Riverside. Both are only a short walk to the Castle. By car, take exit six from the M4 or exit three from the M3. There isn’t parking at the castle but the outdoor car park at Alma Road down by the river is hassle-free and nearby and you can combine with a run around in the park afterwards. King Edward VII is the town’s multistory (for confident drivers only!). Prices: Adults £20.50, under 17s/disabled £12, under fives are free. A family ticket for two adults and three under 17s is £53. They’ll have to save up for it but the Guardsman’s Hat (£18.95) is the best bit of dressing-up kit we’ve ever seen. The royal corgi notebook (£3.95) is worth a giggle too. The Capturing Windsor Castle app allows you to see the Castle in pictures, comparing 200-year-old watercolours with modern photographs. For lots of information about the Victorians, see the Teaching the Victorians resources, free to download.